Cosmetic care aims to preserve health, correcting imperfections, beautifying the body and is not the exclusive privilege of women. The desire to look better is common to women and to men from ancient times. Cosmetics for men becomes necessary when we consider how much personality and prestige a groomed man gets, who shines clean, has an elegant and correct body posture. Hygienic and cosmetic care must become a habit and a duty to themselves for any man. There are men’s cosmetics, there are specialized beauty centers where treatments are modern, using innovative technologies the aesthetics of the body, etc. An effective personal care and with long-term effects primarily involves the use of quality products, matched by ingredients, equipment or effects for individual needs. The market of cosmetics and personal care products took a particular momentum in recent years, while technological innovations have generated a multitude of care appliances more and more sophisticated and more effective. We tried through the information provided to offer you an objective guide to choosing the best personal care products. Face hair removal is the most common action by which a man begins hygienic and cosmetic care, and it represents a daily concern for many. Electric shaving has emerged as a current method after 1950, with the main advantage that it does not need water, soap or a shaving brush, but only the existence of a nearby electrical outlet. Even if until a few years ago there were various controversies regarding the effectiveness of such a device, many still preferring the classic shaving with a razor or the classic razor blade machine, in recent years things have changed. Technological innovations in the field of manufacturers have resulted in modern electric razors that offer amazing results, cope with various special problems (such as acne or sensitive skin) and do not need the existence of outlets nearby. 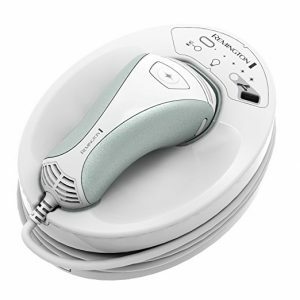 See which are the best electric shavers on the market. Surely you have noticed that beard is back in fashion. If you are tired of irritations, cuts and stinging offered by shaving daily, you can now opt for a fashionable beard. However, it also needs regular quality care, and for that you need the best products. See which are the best mustache and beard trimmers. For most men, the appearance of excessive nose hair ear is a sign of the passage of the first youth as they are making their appearance rather late in life. 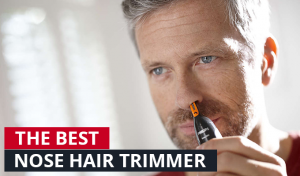 The problem of excessive hair in nose and ears affects millions of men worldwide, creating an unsightly and unflattering appearance, but it also has a fairly simple solution- facial trimmers. These are small, efficient and easy to use appliances. 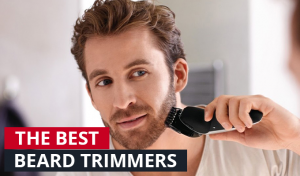 See which are the best ear and nose hair trimmers.